This joyful snowman is so excited about your upcoming Christmas party! 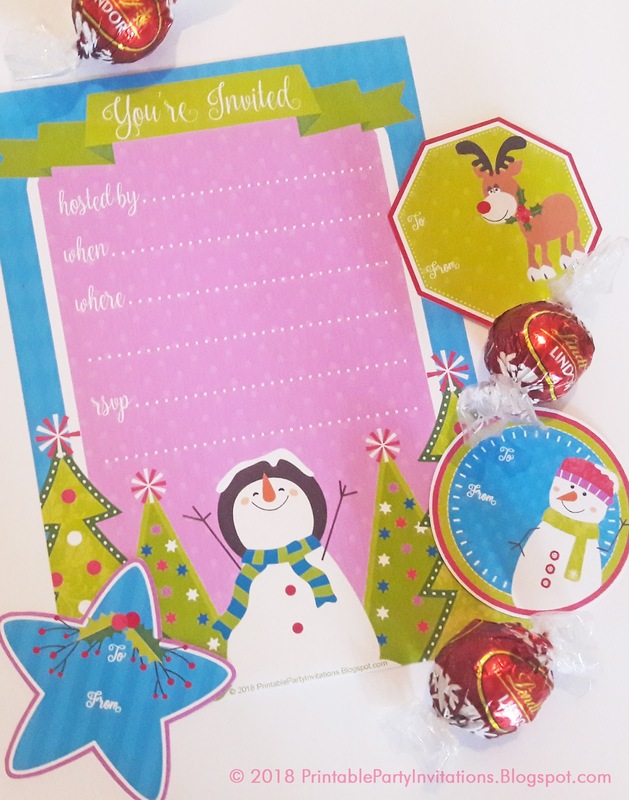 Your guests will feel the same when they receive this invitation that's bursting with color and all the joy of the holiday season. And there's a set of matching free gift tags, too, which are available from my Party Planning Center site. 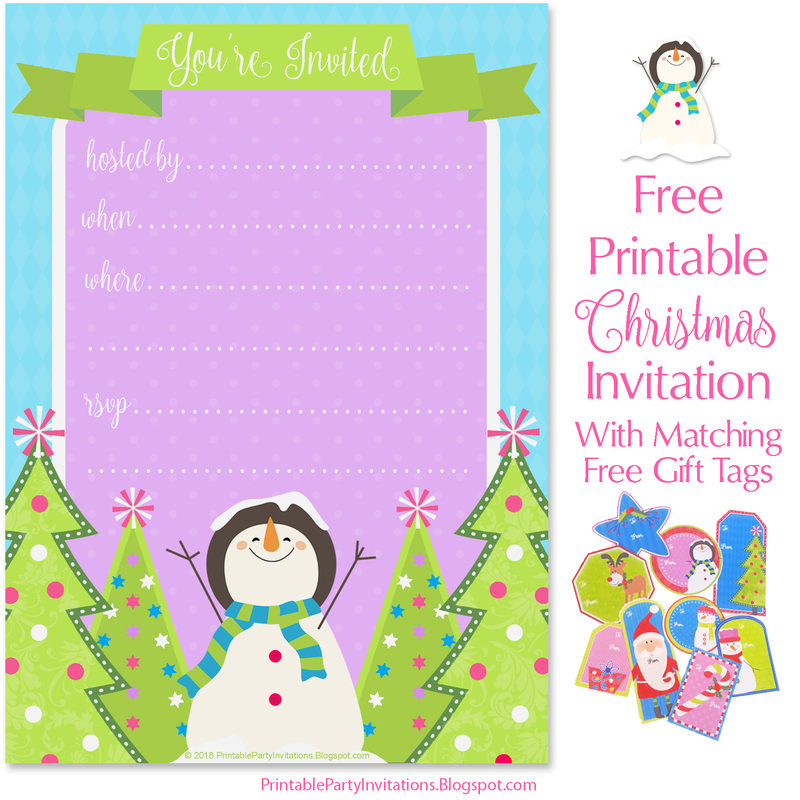 There's also a different version of this invitation on that site that has three snowmen instead of one. I will admit that for some reason, I had trouble with the colors in this artwork. The colors in the photos below are closer to the way these printed than those in the invitation art at the top of the site. The original version of the art was much darker. It looked great on my monitor but the colors were unacceptably dark when I printed it. So I adjusted the colors in the final artwork to print better. The resulting template looks a little light but it prints beautifully--at least on my printer. If you have any issues with the color, read the suggestions regarding printer settings and paper stock that I wrote here. Credits: Many thanks to Josy Carson for the adorable illustrations used in this design.